One of the most exciting, interesting, and fun workshops I’ve ever taught is making a return for 2019 at Harrisville Designs in Harrisville, New Hampshire. 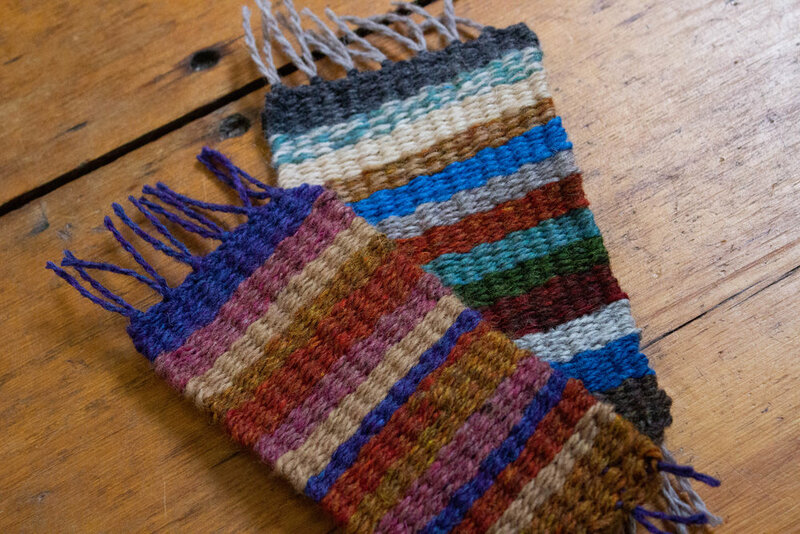 Join me October for the Art & Wool Workshop, a three day dive into unexpected color palettes using a method that will help you come up with innovative, beautiful, and highly nuanced color pairings for weaving, knitting, and more. This was a blast to teach the first time around, and I am returning to Harrisville with even more ideas to share and activities that will help you feel empowered and inspired. Housing is available for those traveling to visit, and we might even have a few special guests stop by. Sign up and read more about this course here.